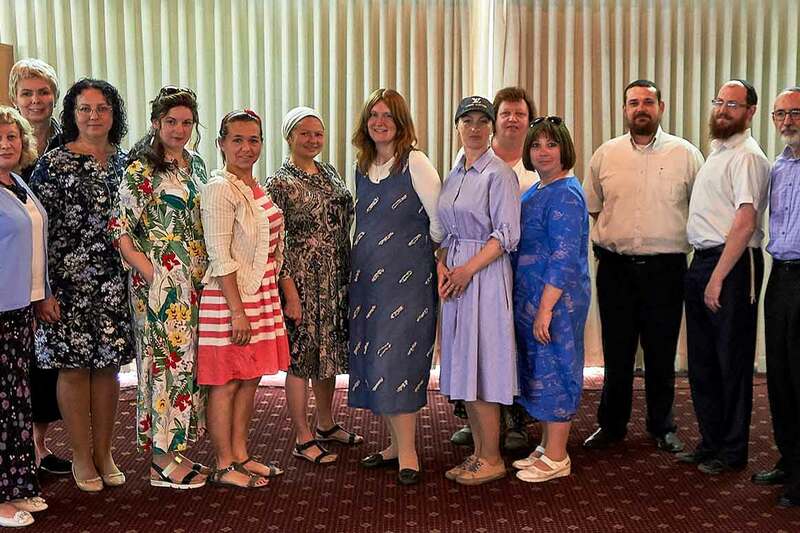 Vacations are in full swing in the FSU region, and while the students are having fun in camps and summer programs, teachers at FJC’s ‘Or Avner’ Jewish education network continue to learn and grow in order to implement new skills and techniques in their classes come September. As part of its continuous education course, Darkeinu Jewish studies curriculum brought together 11 pedagogues from Ukraine, Russia and Belarus in Jerusalem last week for a teaching seminar, which became the grand finale of a year-long program. For four days the group intensively learned from their Israeli colleagues, visited educational institutions in Jerusalem, attended lectures and workshops with the leading local specialists. “The teaching seminar was a logical conclusion of the continuous education course we completed with Darkeinu this year. The course included a series of webinars on different topics and hands-on materials, which together enriched our teaching experience both in terms of methodology and practically,” said Mrs. Galina Mindrina, vice-principal of the Or Avner school in Volgograd, who participated in the seminar. “Time and technology are moving forth non-stop and seminars like these help teachers take advantage of these changes by encompassing them into their teaching techniques and using them to propel Jewish education forward,” she said. An innovative approach to education plays an important part in Darkeinu’s curriculum, which provides a Jewish studies program to kindergarten and school students from grades 1 to 11 in 150 institutions in the FSU. Webinars and continuous education courses make sure the teachers stay up to date on modern teaching techniques, alternative methods of grading, latest trends in Jewish education in Israel. The seminar in Jerusalem allowed the teachers to experience these first-hand, to visit the historical places, museums and sites they teach about in their classes and to connect with their Israeli and local colleagues working in the same field.